The caterpillars gain the pigment and to some extent the texture of whatever they happen to be eating. In this case it's the flowers. 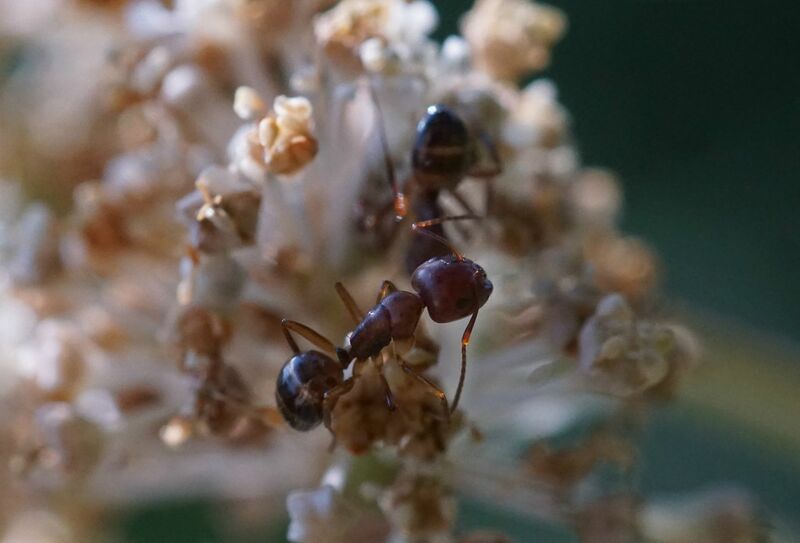 Doing this helps them blend in with the plant, however the gangs of ants constantly hanging around them gives them away. 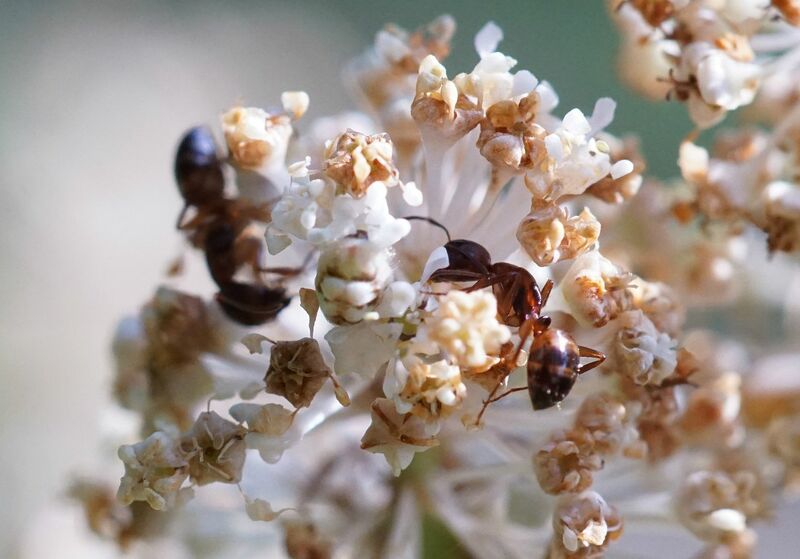 The butterflies are common where they occur and fairly wide spread across the north east, but the need for ants along with host plants can make some members of this genus uncommon. The Karner Blue Butterfly is likely endangered because not only do they require wild lupins as a host plant. They also need ants to protect them and bring them back into the nest. Once inside they turn carnivorous and begin consuming the ant's brood for food, all the while still producing sweet honeydew for the ants to feed on. 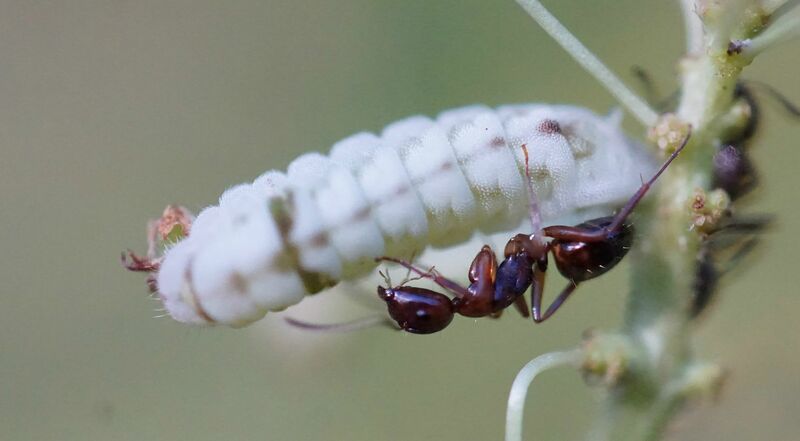 This isn't that bad though as ants often consume their own eggs or feed larva to one another, and the caterpillar itself isn't much bigger than two or three adult ants. Host plants include the New Jersey Tea, as seen above, some Dogwoods, Collinsia sp, and Spiraea salicifolia. 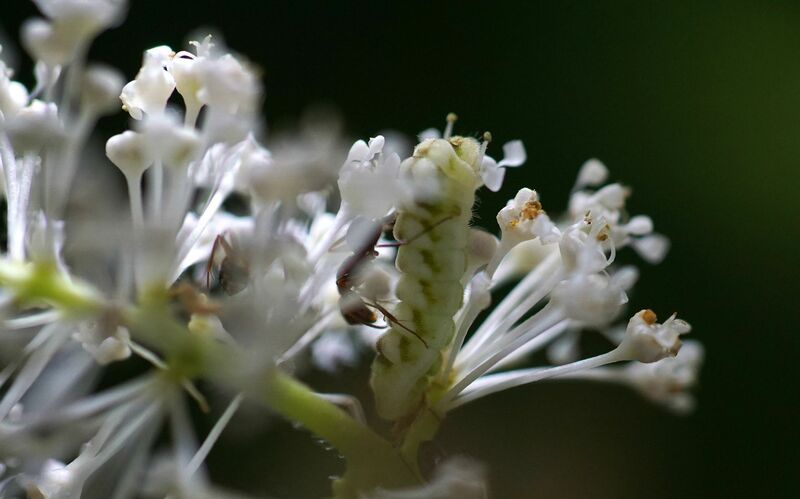 I've also found them consuming the flowers to Sourwood trees. They always start on the flowers to these plants which tend to be soft and tender (and likely lack any defensive chemicals the plant might be producing in its leaves) before moving onto consuming the leaves themselves if they need to. They take on the color of the flowers they consume so they're usually pink on Spiraea salicifolia, and can be sort of purple on Collinsia sp. and then turn green when they start eating the leaves. 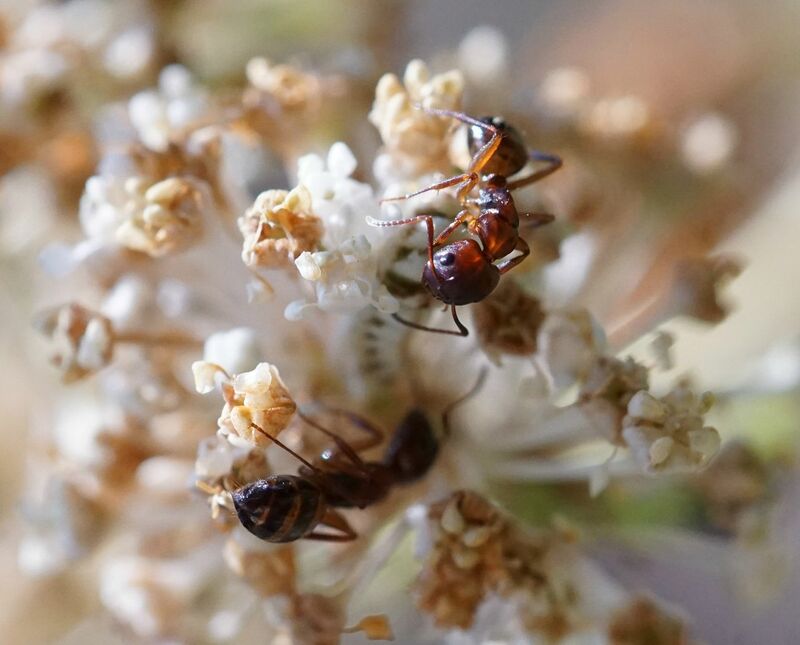 Flowers are a good place to start because there's often ants stealing nectar from them already. 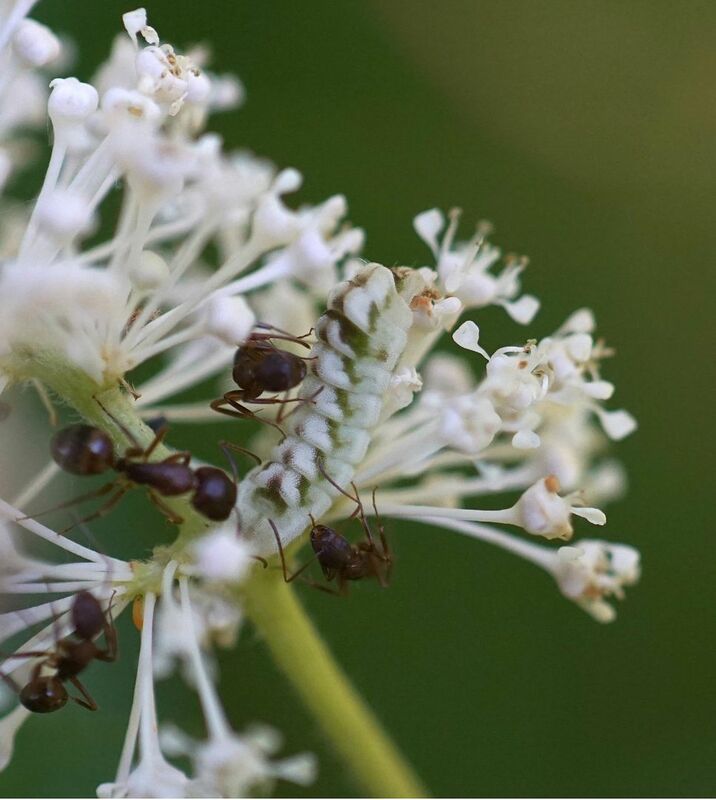 Oddly enough once the ants find the caterpillar and taste the honeydew they produce, they will stop stealing nectar from the flowers and focus entirely on tending them. The caterpillars will also produce noises like a queen ant would make. 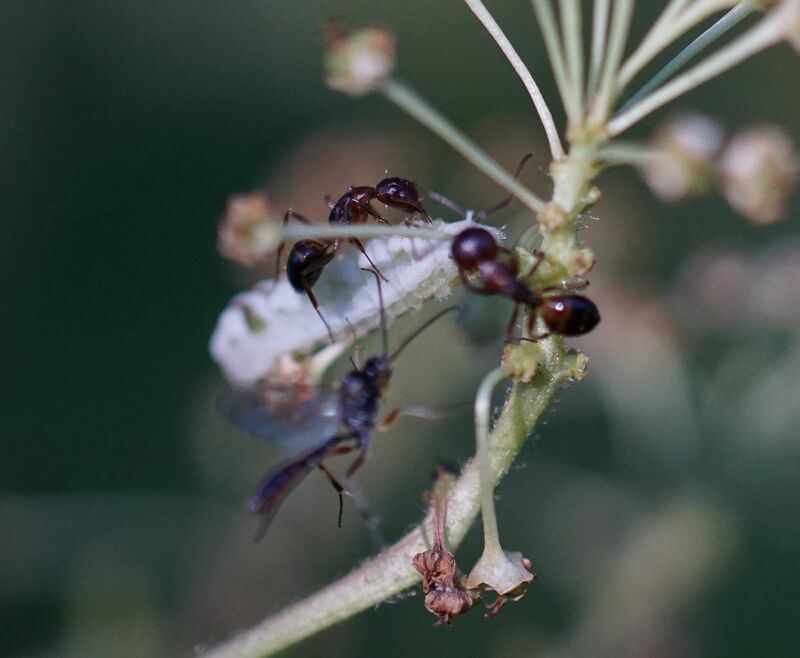 Another benefit of having ants around is they protect against parasitic wasps that try to jam eggs in them. Ones that get parasitized will hatch out as wasps instead of butterflies after the chrysalis phase. The New Jersey Tea shrubs I own are now finished flowering and most of their blooms are falling fast. The caterpillars are now moving on to consuming the leaves. I'll be rearing a few indoors to ensure they survive. I'm curious to see if any wasps emerge. 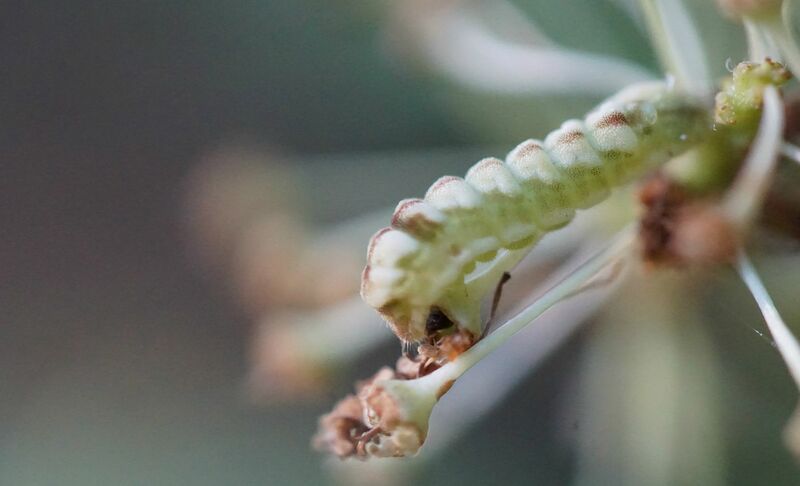 Their chrysalis's are extremely tiny and can be made on something as small as a blade of grass. Rearing them myself will help ensure I don't run them over with the mower.